Manuel Antionio was nice, but a bit touristy. The hotel was great, with an awesome view and the restaurant was first-rate. 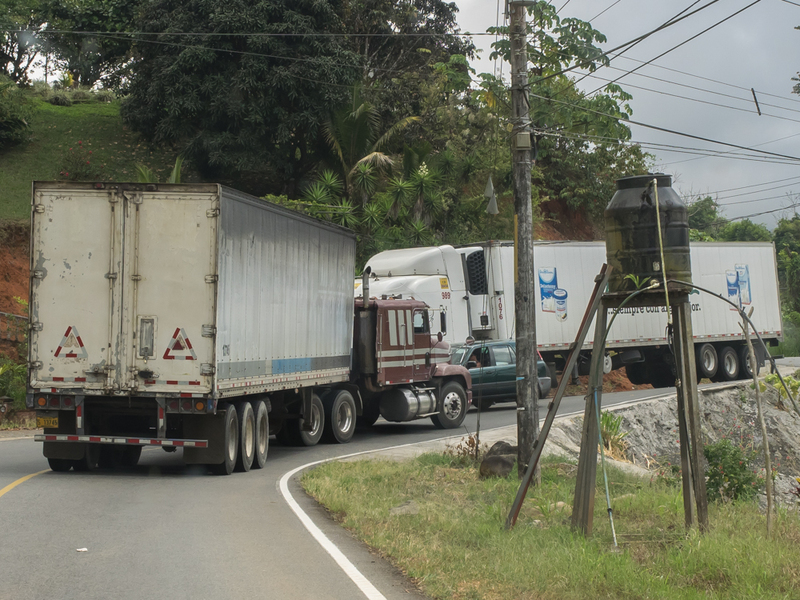 Next morning, we loaded up and headed south toward Dominical and then headed into the mountains. 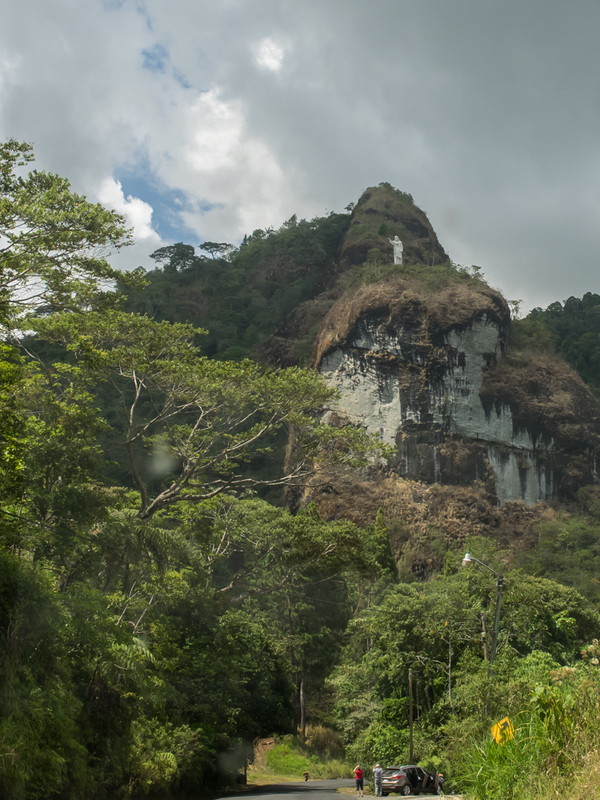 The mountain road was steep, narrow and went through dense jungle. We had lunch in San Isidro at some random road-side restaurant and the food was outstanding. From there we headed deeper into the mountains then into Cartigo. 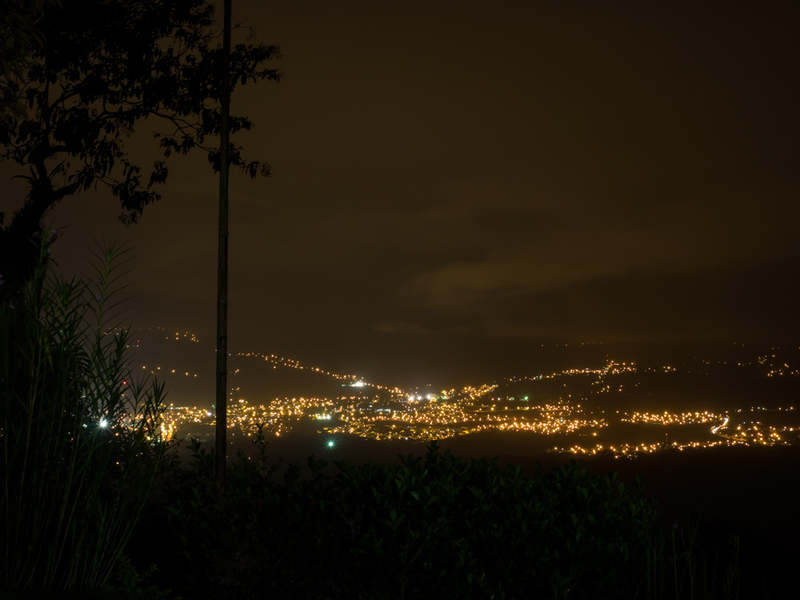 Our final destination for the night was Turrialba on the southern flanks of an active volcano. 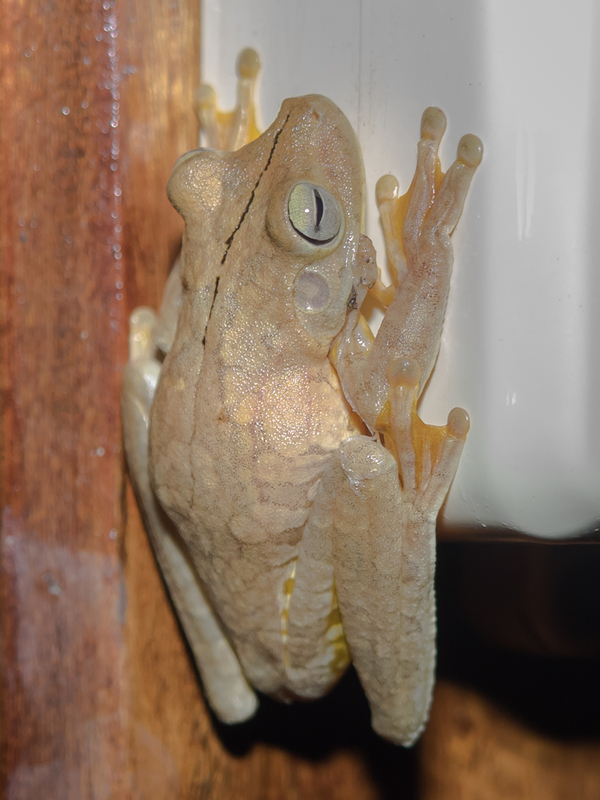 The frog that Kathleen spotted on the fan controller started waking up at dusk. We saw him moving so got the flash for the camera and took another photo. His sucker feet kept him secure on his vertical surface. The morning brought some thunderclouds to the western horizon that were visible from our balcony patio. I was sitting on the balcony and there was a huge noise on the roof above me. 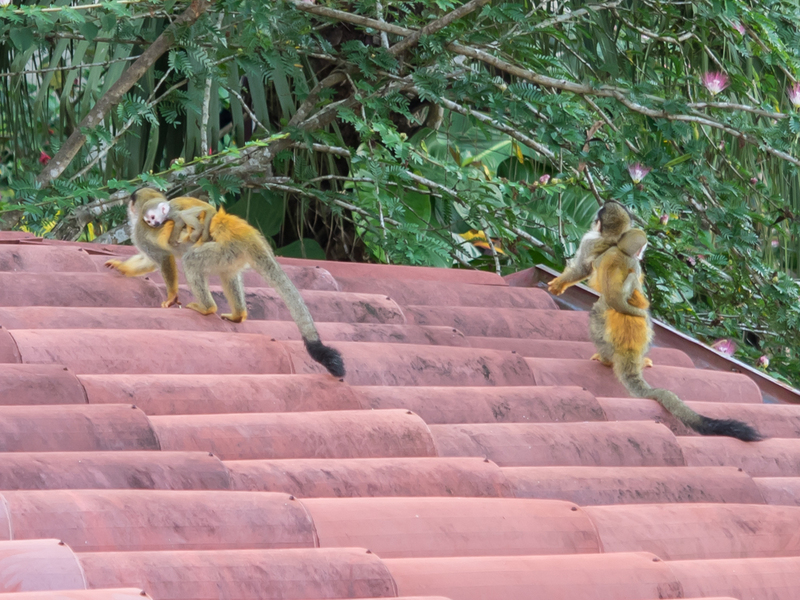 Within seconds a troop of monkeys jumped onto the roof next to the patio. 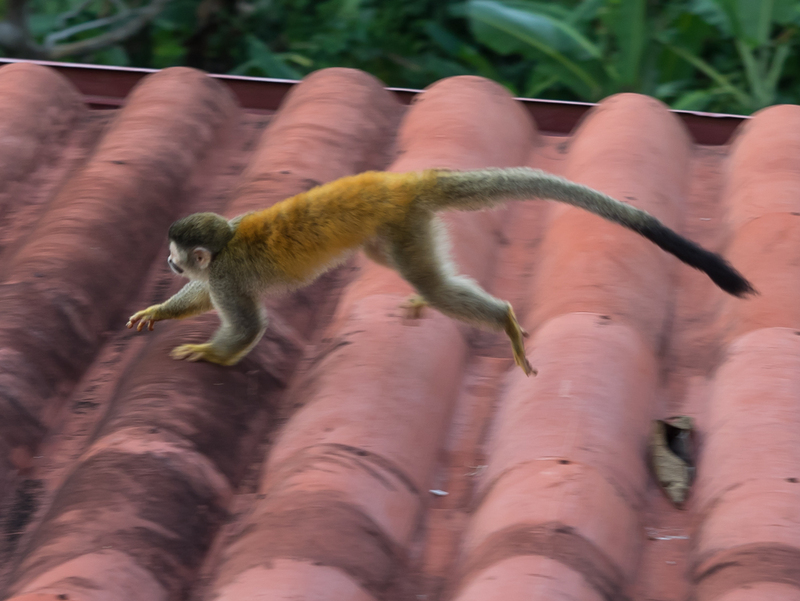 I think they were Capuchin monkeys and they were FAST. I grabbed the camera and was able to get the photo above of a mother with her baby on her back. 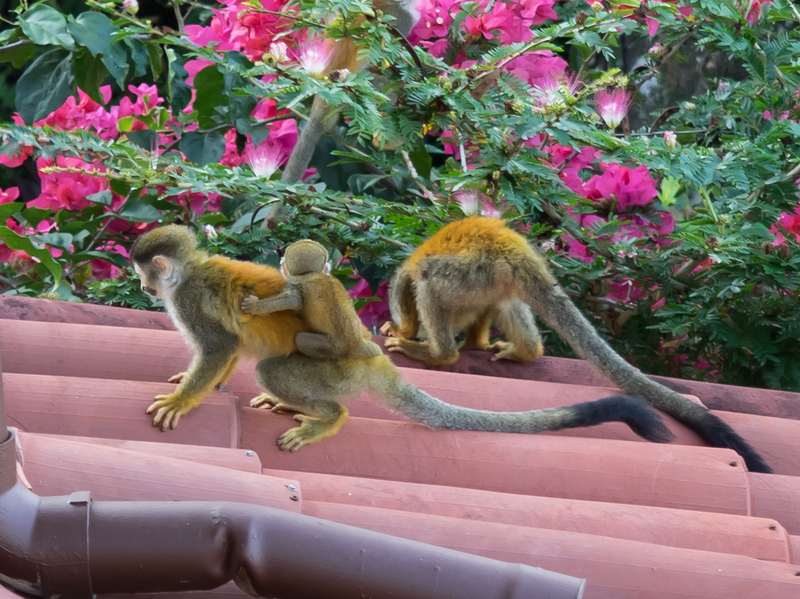 Once the first monkey hit the roof many followed. This fellow was sprinting across the tiles at high speed. This one held still still long enough to get a reasonable photo. 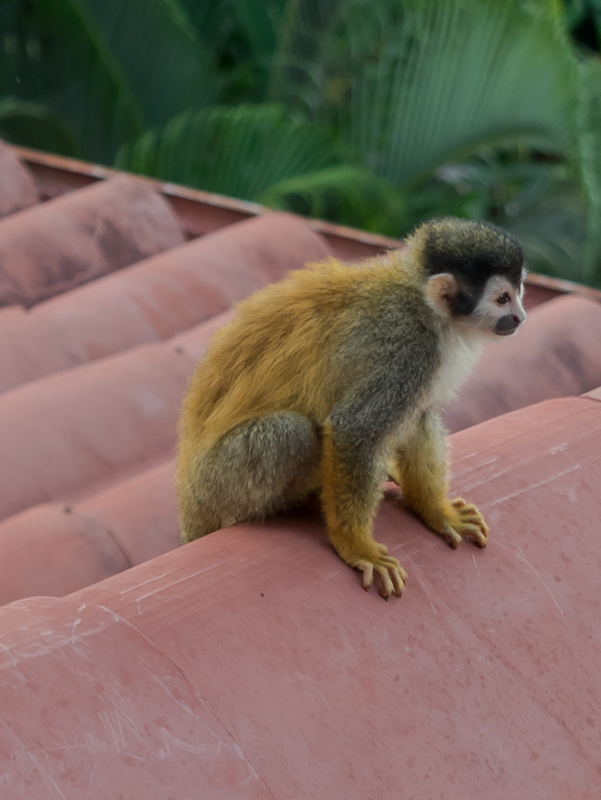 The monkeys were in continuous motion; they scraped the gutters on the roof for bugs and then they hopped into the adjacent bush and were gone. 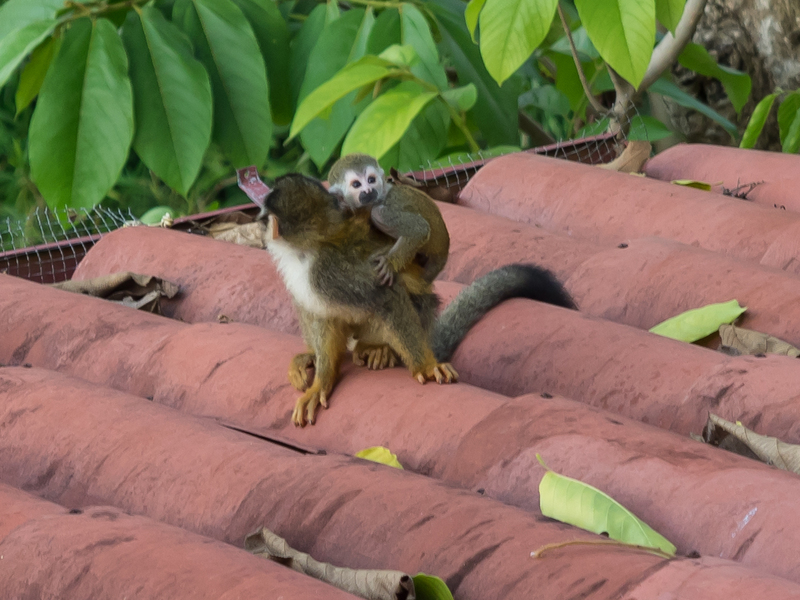 This mother was still for only a moment before launching onto the adjacent roof. 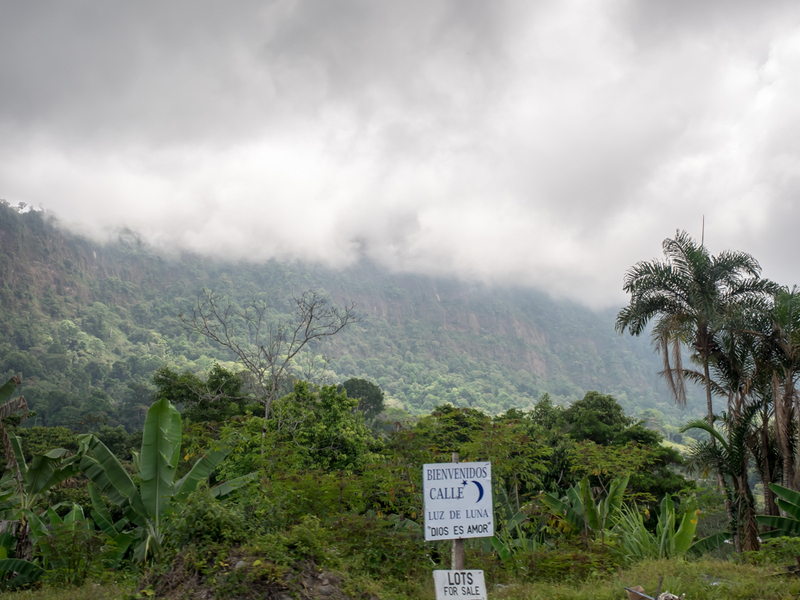 We turned into the mountains at Dominical and headed up steep grades. Along the way we came on this "event" in progress. The story in the photo above is several-fold. First is the sketchy frame supporting the water tank on the posts. There are no cross-braces on the frame, so a strong wind should bring the whole structure crashing to the ground. But the real story is the two trucks. The problem is with the white truck. When we got past the "event" we could finally see what was going on. Look at the top of the trailer and you can see that the truck is taller than the power line. The driver likely heard the wires hit his cab and stopped before breaking the lines. The fellow on the ground is going to attempt to raise the wires over the roof of the trailer to allow it to pass using the window scrubbing brush. Good luck! We did not hang around, but I would bet that he got shocked. 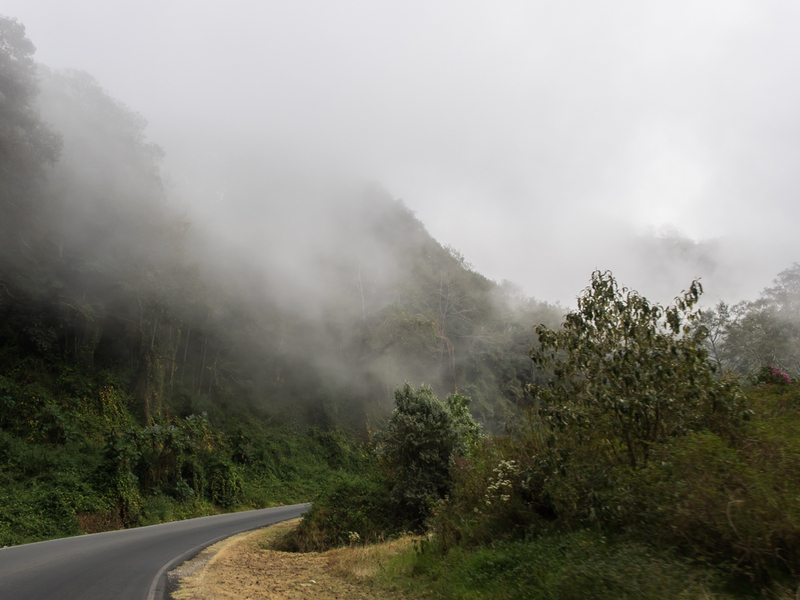 The upper reaches of the mountain passes were fully shrouded in clouds. There were great views of the valleys below through the breaks in the dense brush. 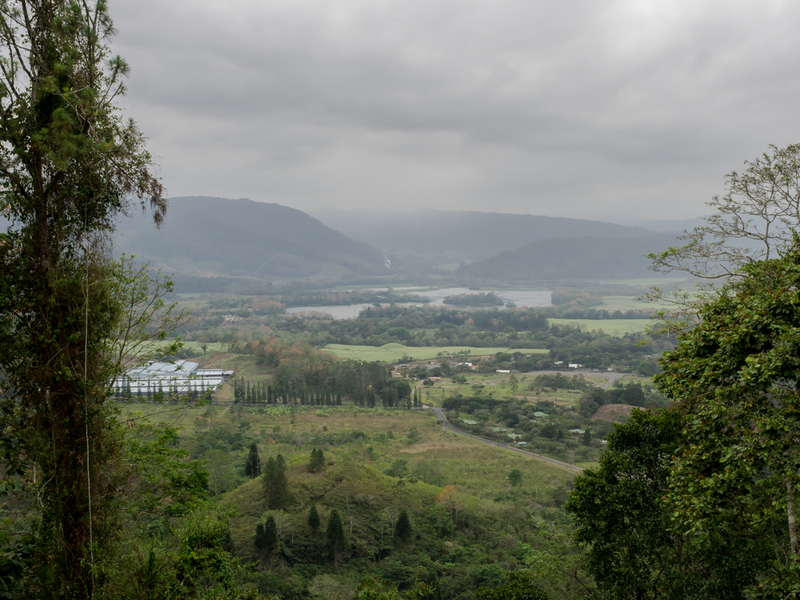 The valleys were lush and I can definitely understand the attraction of the jungle. The zones that lack trees have been cleared for cattle. 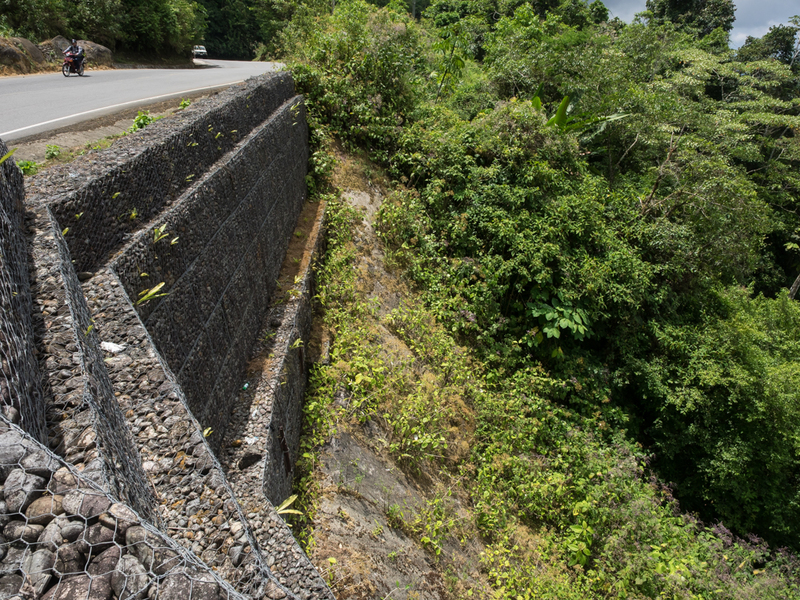 The roads were constructed into the steep hillsides requiring substantial revetments to hold back the slippage of the soil. 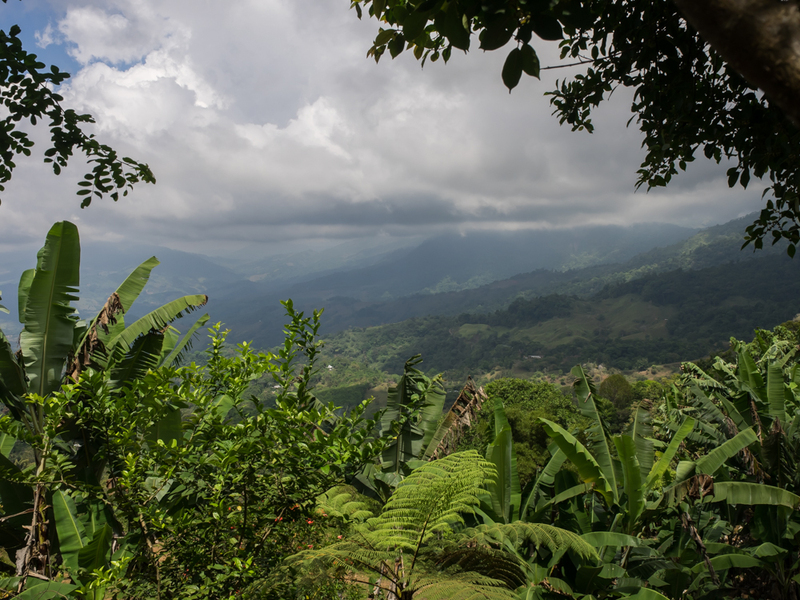 We came down the east slope of the first range of mountains into San Isidro and into the sunlight. There was a nice restaurant close to the road and we had a great lunch. 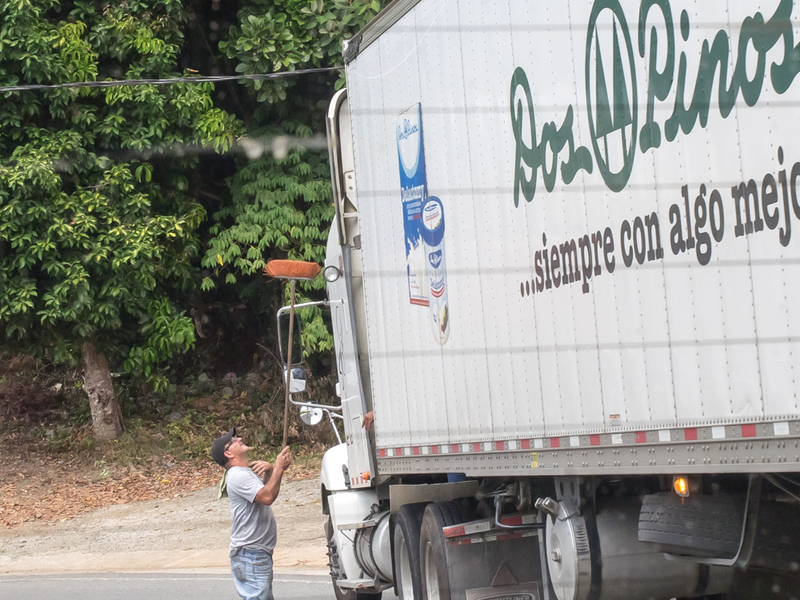 Close to San Isidro we spotted this icon on the mountain side. 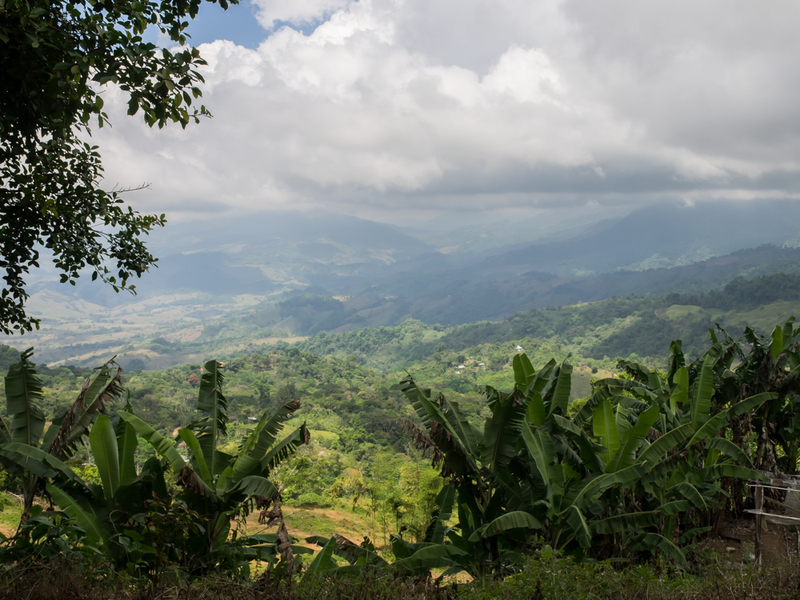 From San Isidro we headed back into the mountains and the path of the road gave us nice views of the valley below. The upper reaches of the highway were at 3300 meters (about 10,000 feet) and we were back it the clouds. Not surprisingly, it was cold and we turned off the air conditioning for the first time in 2 weeks. 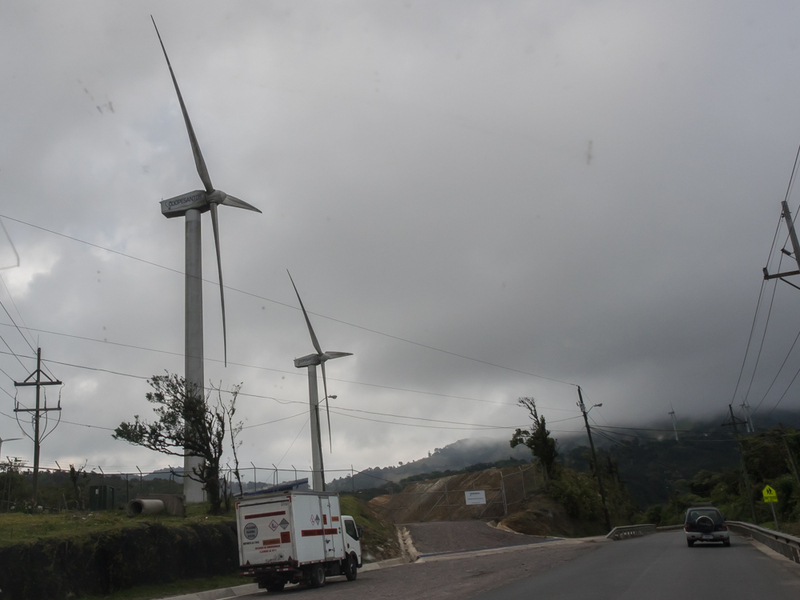 As we descended the mountain into Cartago, we spotted a wind farm with big mills whirling way in the strong winds. Breaks in the road-side brush allowed us to see into the valley below. 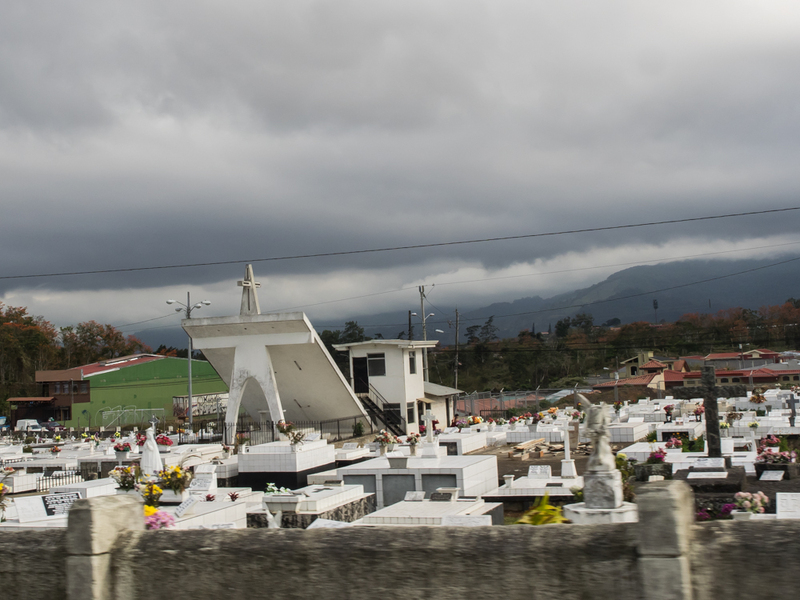 Cartago is a working-class town and like many semi-urban areas had the pervasive stench of raw sewage. We spotted this above-ground mausoleum next to our path. 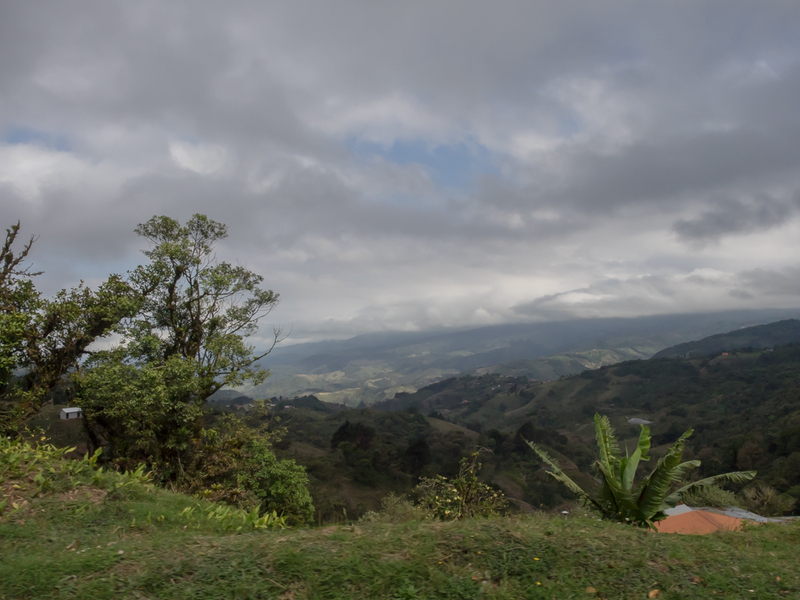 We decided to stay to the east of Turrialba in the mountains and a random-selection hotel. The choice was good and the food was awesome. From the balcony we could see a portion of Turriabla in the valley below. 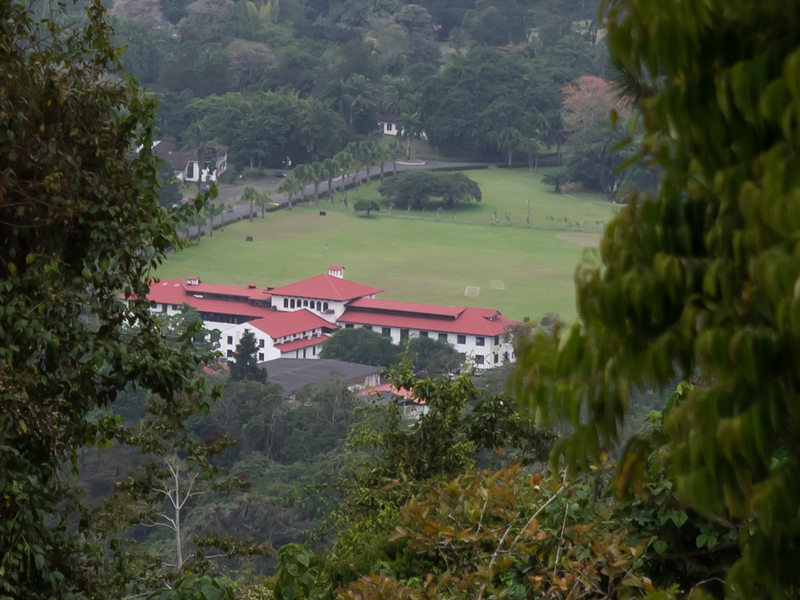 Through the brush to the northeast there seemed to be a boarding school or university. Note the nets on the field. After dark we had light rain and fog but since we were in the restaurant, I took a long exposure shot of Turriabla because there was no down-side. You can easily see the moisture in the air. 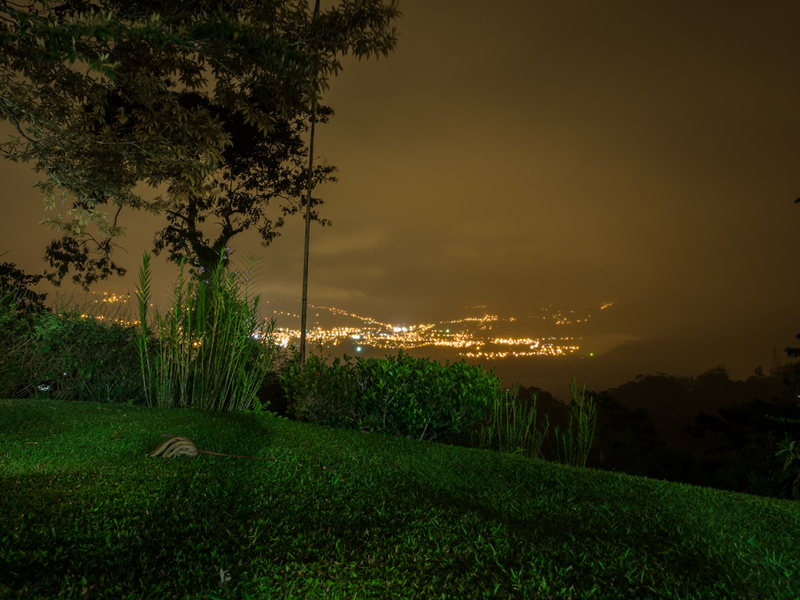 This was 60 second exposure at f/11 and ISO200. A bit later after the fog cleared we were able to get a cleaner shot of town. 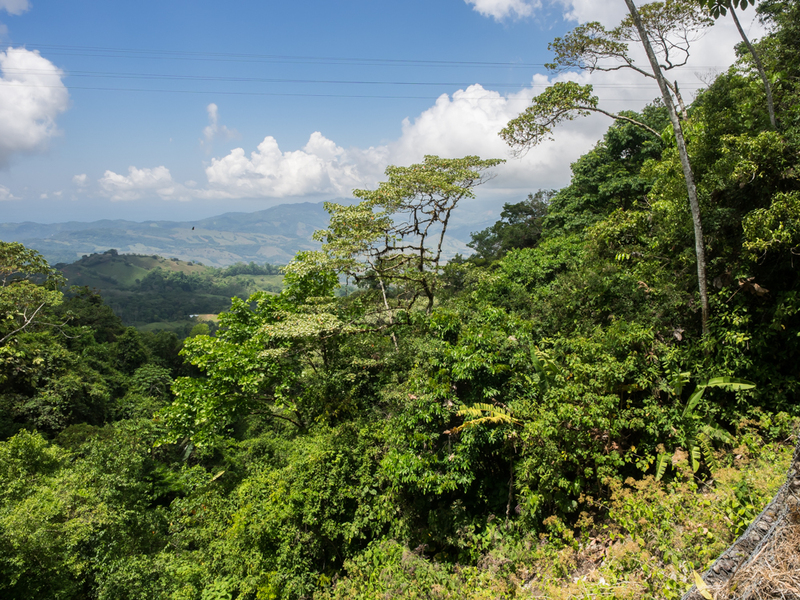 The drive from Manuel Antonio to Turrialba was the best drive we have had yet on this trip. The scenery was super, low traffic, low hassle. That said, the roads are steep and turney, so be sure of your vehicle. 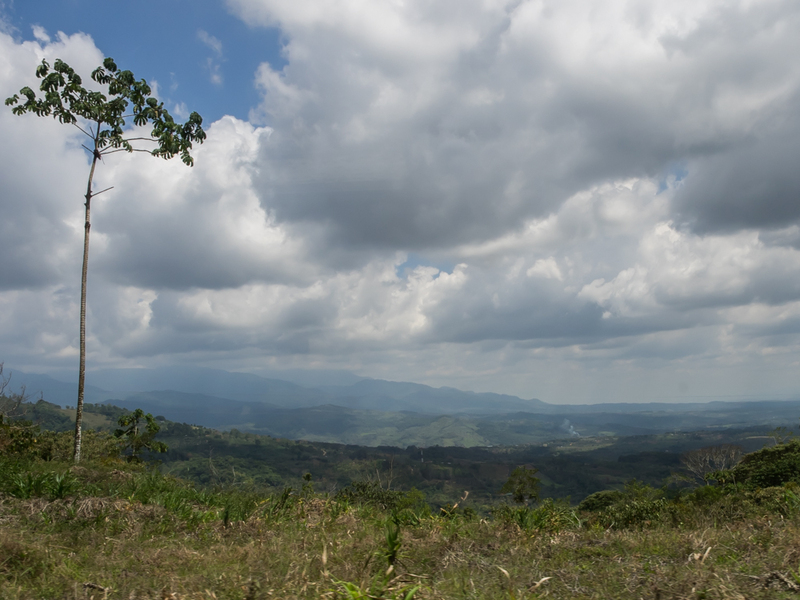 We did not expect the 3300 meter elevation on the road; that was just a plus. 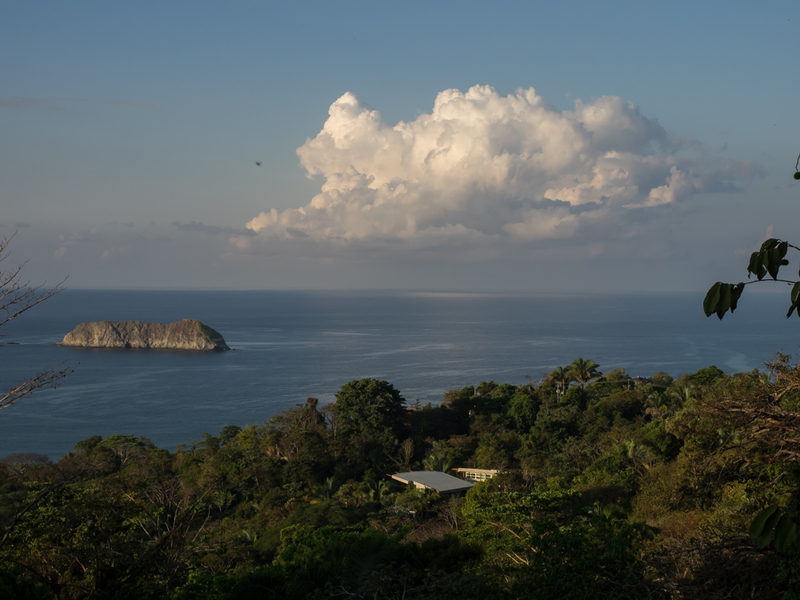 Tomorrow, we head the Carribbean Coast at Puerto Viejo close to the southern border next to Panama.